Do you have a baby 0-12 months old? Planning to birth in the hospital? Planning to birth at home? Want to use pain medication? Is your care provider a doctor? Is your care provider a midwife? Are you hoping to breastfeed? Are your hoping to bottle-feed? Are you a sleep deprived new parent? Could you use judgement-free support? If you answered "yes" to any of these questions, you could use a doula! Come meet a bunch of birth and postpartum doulas at this FREE event to find out more about how you can have a smoother transition into and through parenthood. If attending with a support partner. 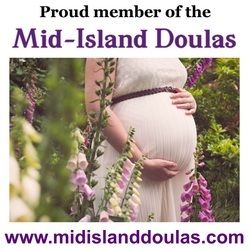 Please check as many that apply so we can match you with doulas who provide these services. If your baby has already been born. Preferred pronouns, allergies, special circumstances, etc.